Today, three new exclusive Hearthstone cards coming to The Boomsday Project expansion were revealed at PC Gamer. Dendrologist, Landscaping, and Mulchmuncher will be arriving when the full set drops this August. Senior game designer Peter Whalen and balance designer Dean "Iksar" Ayala were on hand to discuss what each bring to the game, as well as the power behind the new Treant-centric cards. 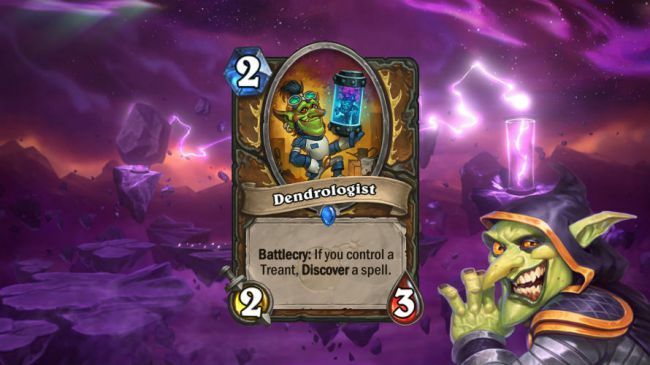 Dendrologist is a Druid minion that allows you to Discover a spell while a Treant is in your control. It's got a solid body for two mana, and the Discover ability is very powerful—but time will tell if Treants are worth it. Landscaping isn't a Druid minion, but a spell that grants you 2/2 Treants for 3 mana, letting you grow your burgeoning Treant population. It's cheaper than Force of Nature, so if a Treant deck becomes a thing then expect this to be a part of it. 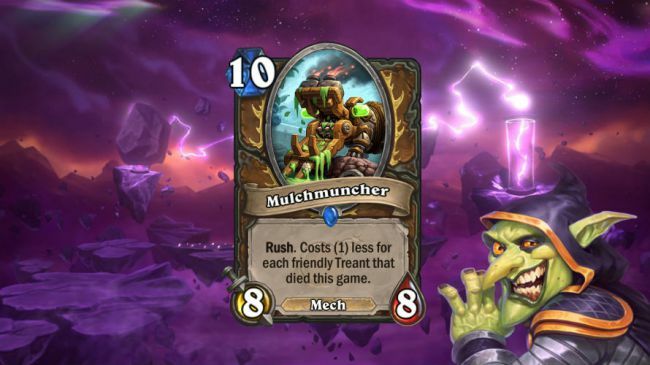 Mulchmuncher is another Druid minion that has the added bonus of cost reduction each time one of your Treants falls in battle. Alright, we get it. Blizzard wants to make Treant Druid a thing. Will it go the way of Beast Druid? Time will tell.